Daniel had it easy. Yeah. I said it. Daniel. Had it. Easy. I understand that he had that whole "lion issue" and a few other challenges, but the Fast? Oh the Fast. The way he makes it sound is that he did lots of praying, alone, and when he got hungry, he went and grabbed a salad and then got back to praying. For 3 weeks. No meat. No sweets. No wine. Only organic fruits and veggies. Bless. His. Heart. You know what he DIDN'T have? He didn't have 5 children, a working spouse, a homeschool schedule, volunteer schedules, a new house and a BLOG to maintain! And you know what else he didn't have, dragging him away from his faithfulness to the fast? Girl. Scout. Cookies. 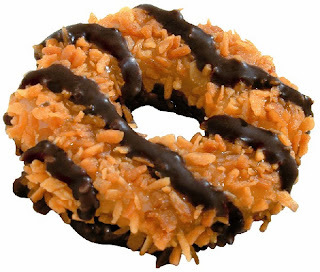 Samoas, to be exact. Take a deep breath, dear reader. I promise not to leave you with a blog full of me whining...about cookies. I also promise to be very real with you. I'm a little jealous of Daniel sometimes. I'd like to think that I could actually get 30 minutes alone to fast and pray. I could do it. You know? I'm really devoted to the things that I set my mind to. The problem comes when I'm the ONLY one committed to that thing. My kids won't stop being hungry...for hot dogs and spaghetti and pizza and teeny tiny cheeseburgers. And the 5 bags of candy still leftover from Halloween. (Shame on us.) My teaching schedule and planning time won't ease up for 3 weeks. My Girl Scout's cookie sales can't just wait it out. So, this is one of those times when I remind myself that "it's not about me". And, it is certainly NOT about the food. 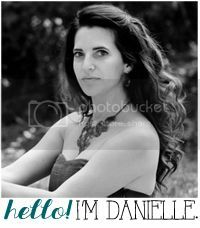 My friends are literally joking with me that they'd prefer a "Danielle" fast, because they know it would include pretty much only baked goods covered in chocolate. It's just how I roll. The truth is, my life is abounding with blessings. We've just taken down our 3 Christmas trees, we drive away from our new house in our new van to our new church which doubles as my husband's new job. I do not know lack. I have known it in the past. I know about doing without. I know about being a single mom. I know about moving my party of 7 into the home of a family member because there was no work to be found for my husband. I know about bankruptcy. I know about surrendering vehicles. I know about food stamps. I know about suicidal thoughts. I know all of that and more. I can do a fast. I can rock that fast. I can Pinterest my way into the best recipes that make it seem like I'm not even fasting. But if I do it that way, then my focus is the fast. My focus is the food. My focus is what I'm missing out on. Daniel wasn't focused on the fast. He wasn't thinking about his food. He was focused on the matter of his prayer. The mourning for his nation. He had received a vision that deeply distressed him, about "times of war and great hardship" that were on the horizon for the nation he loved. Any of that sound familiar for our world today? Maybe you haven't seen a vision of what's coming for your nation. Maybe you've already been living in times of great hardship, or perhaps you can tell that due to job losses or poor decisions or completely uncontrollable circumstances, 2014 is gonna be a tough one. Hear me: You are NOT alone. And, taking a spiritual breather to fast and pray for 21 short days out of the 365 you've got this year, is really not so bad. Don't make it about the food. If you enjoy cooking and baking, as I do, go ahead and do it with your revised restrictions. Make it simple, make it you. But don't let yourself feel that you're missing out. Acknowledge what you're gaining in the supernatural realm by laying down some simple pleasures. Make it about Him. Make it about worship. Make it about gratitude. Make it an opportunity to beseech the Lord for the things that ABSOLUTELY MUST change this year. Give him room to do it. Thank Him for doing it. Expect to see the answers this year. You'll see some of the answers within the fasting period. I think a 3 week turn-around time for a miracle is worth it. How 'bout you? So, I'm not gonna eat a few things that I wish I was for the next 3 weeks. I'm gonna fast, and pray, and humble myself, and magnify my Maker, my Master, my Friend...because it's right. Because He's faithful. Because, at the end of it all, I'll have some supernatural answers for my life...and several boxes of Samoas. Father, as I embark on something that stands as a physical struggle for me, give me the strength to resist temptation. Allow me to see my weaknesses and allow your JOY to be the strength that carries me through. Show me visions of what is to come. For me, for my family, for my church, for my nation. Help me to see as you see. Give me discernment and peace. Amen. To learn more about Daniel and his fast, open your Bible or app to: Daniel 10.